Posters are part of an interior wall design to beautify our houses easily. It can also be used to promote something. There are a varied type of posters; some are paper that you get to stick on the wall, some are just pinned, put on by magnet, or etc. But how do attractive posters came to prominence and how did the people even see them as useful? Posters first started being used in the mid around the mid 19th century when lithography became popular due to its cost efficient printing process. Posters then flourished in the late 19th century as reproductive printing became widespread in advertising products. 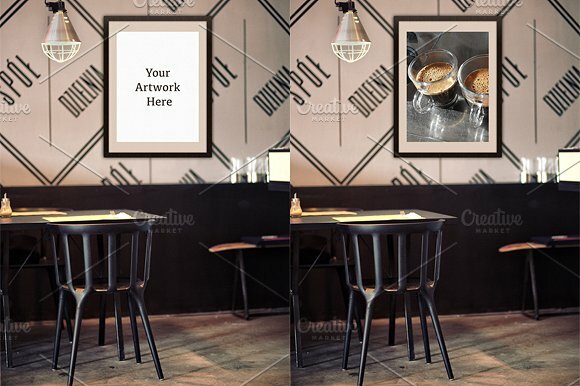 Posters are quite different compared to other art mediums, such as painting on a canvas or a sculpture because they are generally made up of both graphic and text elements. Posters can be appealing since the graphic in it can be eye catching and artistic while the text is either informative or persuadable. Furthermore, they’re cheap and have become one of the favorite mediums for advertisers over the years. You may also see examples of advertising poster design. Today, posters have now evolved to be used not only for advertising products but for also public health campaigns, academics, science and technology, and even the arts. 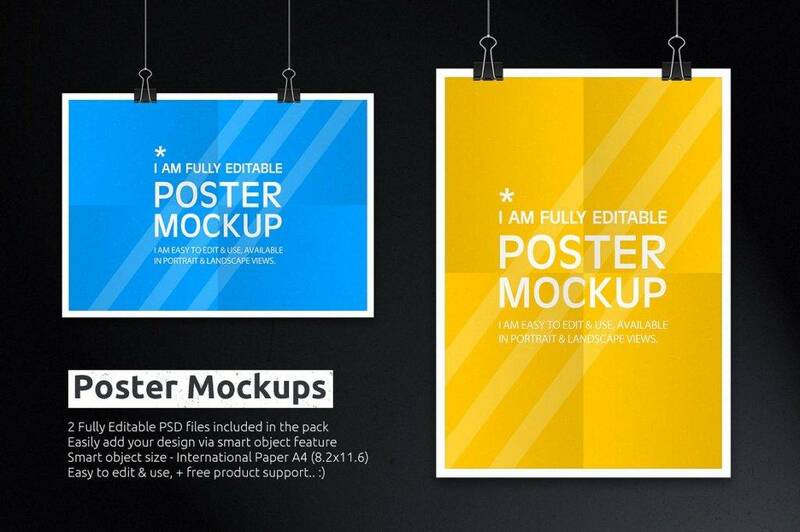 Posters now come in varied shapes and sizes and flexible on how you display them. Some may stick it on a way, put some can be hanged. Below are some ways on how you can hang posters creatively. You may also like event poster designs & examples. If you hate the kind of posters that you need to stick on your wall or put a thumbtack to for it to stay in place (eventually the edges will tear apart) and you don’t want to mess your wall or if you can’t pin your perfect posters on the wall, not to worry as alternative methods have come to make your posters more than just a piece of paper on the wall; it can also serves as its own decoration with unique design to kick off your place to a more fanciful place. Binder clips are more than just binding your documents and papers together to prevent them from scattering around. 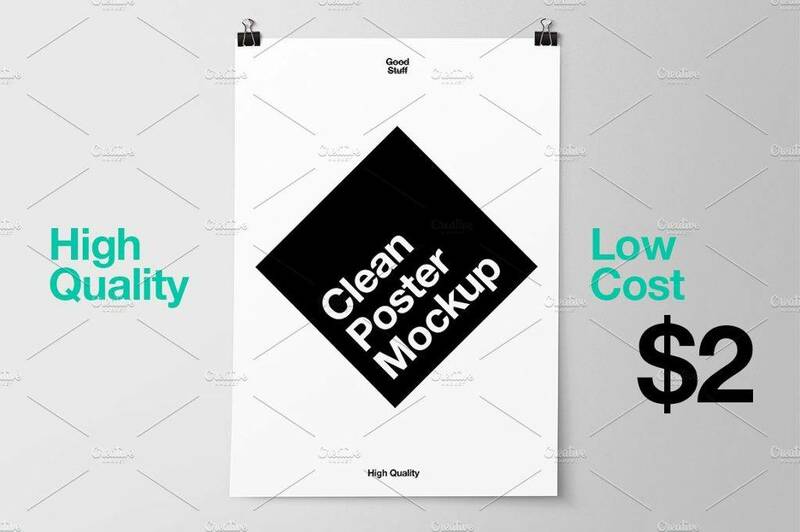 Probably you can’t imagine the idea of having office supplies looking attractive alongside with your posters but you never know that this is a practical and surefire way to make your posters look cool and chic with it. Hanging your favorite posters have never been easier. Cheap and easy to find binder clips; what more could you ask for? You may also see examples of vintage poster design. Clipboards are not just strictly for secretarial and office work. Sometimes it can be art too. 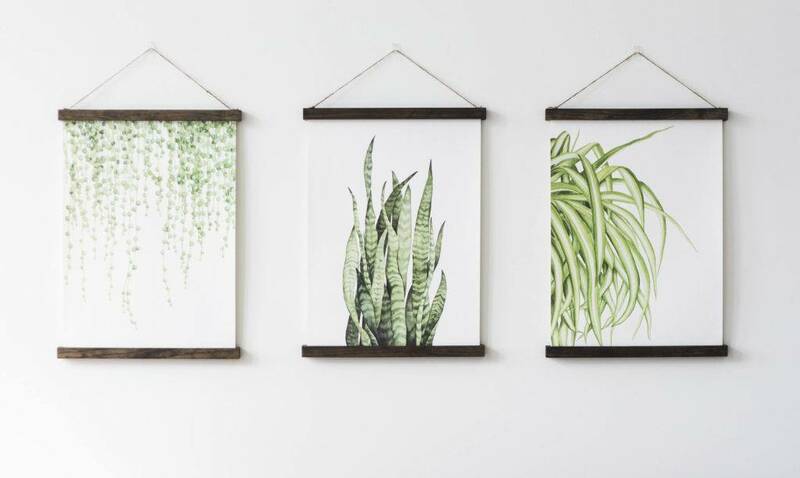 Attaching clipboards to your wall or on a piece of string can make it easy to swap out art posters or photographs, so you can constantly reinvent your style. Cool right? 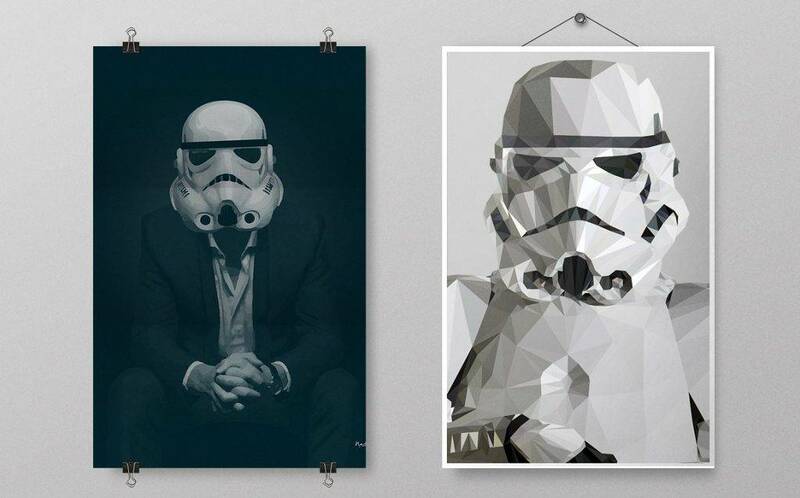 You could do for a few above your own desk or an entire wall of them to make a bold general statement. These ensembles work when you don’t necessarily want to hang your posters on a wall. The strings can be glued to the ceiling. Attach then the clips on a string by making a knot out of it. This cute way of displaying art and photos not only gives your space a relaxed and bohemian vibe, but it’s also versatile as well. Use any combination attractive posters of string and clips to match your home’s decor and your simple statement piece is born. If you’ve have extra hangers hanging around and you don’t necessarily need them, why not put them to good use? Hangers are great for holding art posters, or photo posters. This technique will definitely and add a surprisingly chic element to your wall. Who says that driftwood only belongs to the beach or to the banks of rivers that has been washed out? You can still put them to good use. Using a strong driftwood can make a cute rustic frame that’s perfect for one large poster or small photos. You may also see wanted poster designs and examples. Like hangers, if you have some extra clothespins around, you can use them to hang your posters too. Like the way you hang your clothes on a long string and clothespin to dry them out, you can also hang your posters in this manner as well. You can also use sticks to hang your posters as well. 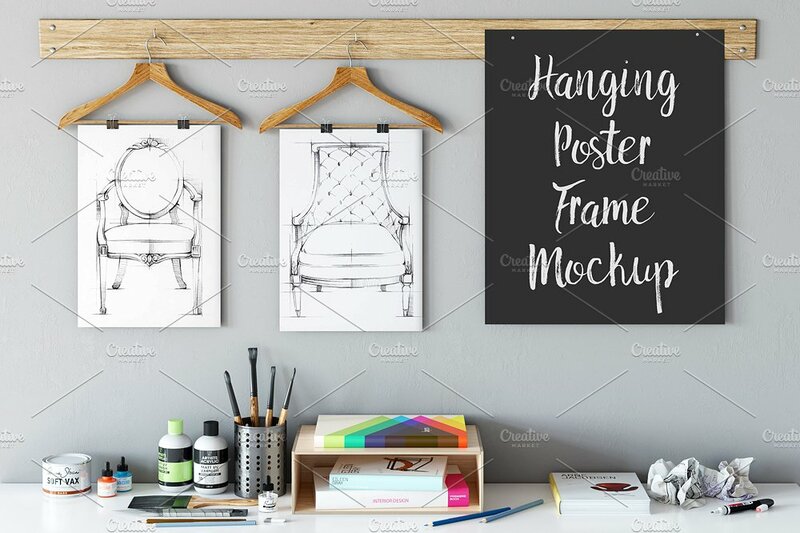 You can make them as frames for your posters by simply pasting them on a stick using a glue that sticks on wood and to hang it, use a string and tie them around the wood. After that, hang it on a wall or ceiling, whatever is your preference. Easy peasy. You may also like motivational posters examples. Get inspired by the beauty and design of chandeliers by making your small posters, instead of pasting them all together in one wall, is to hang them together like a chandelier would. Group your posters together, decorate them in a way a chandelier would look like, and in the middle of the group of picture, place a piece of string (length depends on you) and hang them on a ceiling. This is a fun little DIY project that totally tests your creativity. You may also check out concert poster designs and examples. Magnetic rope are extremely useful to hang your pictures as well. There are a vast variety of shapes and sizes of it in the market that you’re sure you can purchase some according your taste and style. They are also cute and practical as well. Grid wall has always been useful to hang different sorts of things; and it’s no stranger when it comes to hanging posters and pictures as well. All you need to do is purchase a grid wall (or a screen as some may call it); the height and width is up to you, and design the grid wall with your favorite posters and photos. Look up in Pinterest to find inspiration as they have thousands of grid wall designs ideas to choose from. You might be interested in scientific poster designs and examples. Either if you’re lucky enough that you have a wall molding design in your house or you may want to install one, yu can take advantage of this by putting some wire or string along it, using a glue or tacks or nails, and then hang your posters (using clips, clothespins, etc.) and you’re all set. You may also see birthday poster designs and examples. Like as mentioned before, posters were first used as promoting or campaigning products to sell, but nowadays, posters have more function more than just mere advertising. Posters are one effective way to advertise products and to let people see cool and unique visual graphic designs that stood the test of time and has became a part of pop culture. Some of these products are Coca-Cola, Camel, Barnum and Bailey. Many of their posters were distributed through newspapers, magazines and hung up around in cities. You may also see poster billboard designs & examples. The common theme in advertising posters is that they are trying to sell an experience, specially the one that most people desire, to you. Coca-Cola sell the relaxing beach day experience to everyone. Cigarette posters would try to sell people the cool and hip or rugged lifestyle. These companies successfully create strong enough images that would stay in people’s minds over the years and even if they change their advertisements from time to time, still a lot of people will still recognize the brand based on what they’ve been able to sell in the past. Political posters have been taken advantage by politicians for their campaigns, especially during election when they run for a certain position in the government. Some of the most famous political posters in history have some association with war. For example, during the First World War, the US and UK saw posters like Lord Kitchener and Uncle Sam used to improve recruitment. 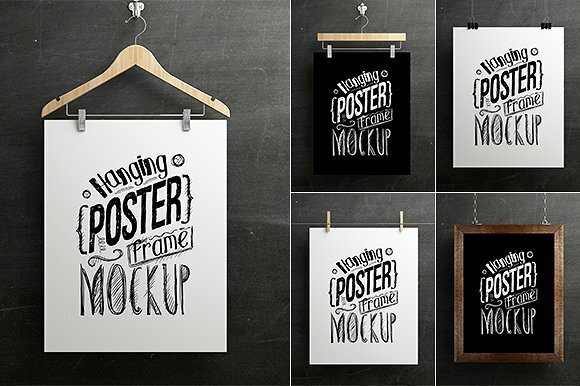 You may also like chalkboard poster designs and examples. This design was worked incredibly for men to enlist themselves during the war. This posters designs were then adapted by other countries governments as well. Movie posters are one way to promote a film since the early beginnings of the film industry, and it had never failed to hype and inform the people about an upcoming film. They are also a cheap way to give a glimpse of what the movie is like to people who potentially will watch it. You may also check out easter poster template examples. Back in the olden days, illustrated movie posters and mass media was not so widespread as it is today so designers had to find ways to entice a viewer with just an image since they hadn’t seen too many previews about the movie before. Designers were able to place emphasis on the important details that would make a viewer want to go watch the movie such as the protagonist’s and the directors names are in large black print to make sure that the viewers would remember who played the lead role (and who directed it). You might be interested in labor day poster templates. Nowadays, even if this type of posters are still widely used by films, some are comprised of photos, special effects, and often taglines. These type of posters can be seen in classrooms or offices. These type of posters are usually simple images like a beautiful view of mountaintops or flowers with a thick black border and a simple motivational message under the image. Some don’t even have borders but just a beautiful picture with an inspirational message and some even only have the message written across the posters with a beautiful calligraphy. You may also see printable event poster designs and examples. These type of posters are the one advertising for events such as concerts, fairs, festivities and many more. Any sort of public event or gathering is often promoted with event posters so people will know what event is coming up and will be interested to join in. Back then when the digital technology has not yet been improved, posters were the only cheapest way to advertise an event. You may also like outdoor billboard designs & examples. Nowadays, posters from past historical events can be sold at an auction or a treasure item for collectors. These events include the boxing events of box fighters before or old concert posters by bands and singers. These are posters that advertise and encourage viewers to travel to many and different destinations. These posters are usually used by tourism agencies. These posters can also be seen around airports, hotels, resorts, or any type of places that deals with tourism. These posters usually has a beautiful picture of a famous spot from a certain destination. The goal of these posters is to motivate the viewer is to visit a new place. You may also check out examples of minimal billboard advertising. Posters can also be used in universities or in the academe to highlight research work or to advertise their school for enrollment. These type of posters are used to promote a symposium, talk, seminars, speech, publication, enrollment, research work, etc. You might be interested in billboard designs & examples. Educational posters vary from other types of posters as these can be visually appealing to the eye but at the same time, rely more on information. These types of posters are very popular during the late 1960’s because of the special effect that they have under ultraviolet light. They became an essential part of the counterculture movement and even some vintage blacklight posters are even considered collectible items today. You may also see food billboard designs & examples. Blacklight posters are one of the examples of art posters. Blacklight posters can make a picture stand out its color and shapes. It is also made visually and aesthetically pleasing to the eyes. When displaying a poster, don’t just stick them on a wall. Why not hang them up? 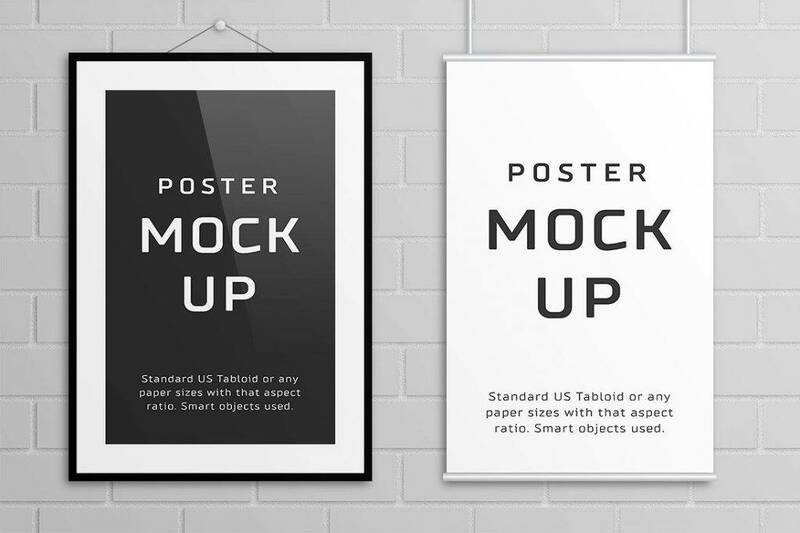 We hope this article helped you in what posters to hang and how to hang them creatively.